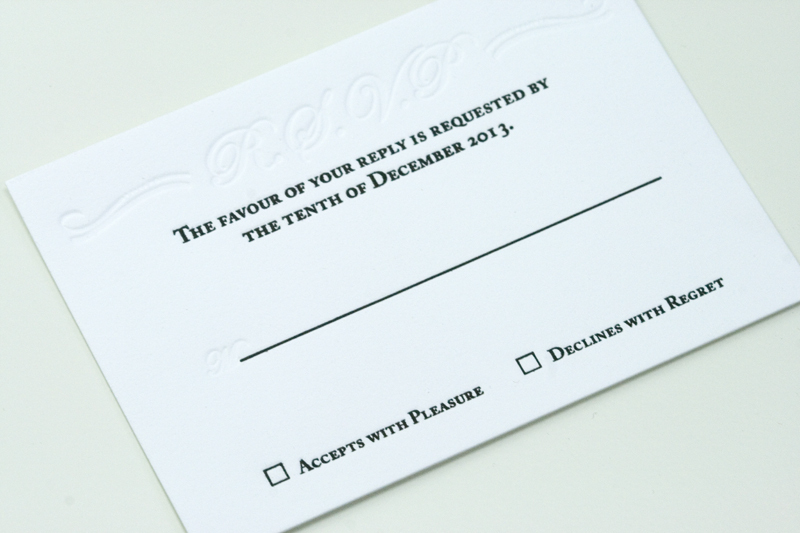 This could be our favourite wedding invitation YET. 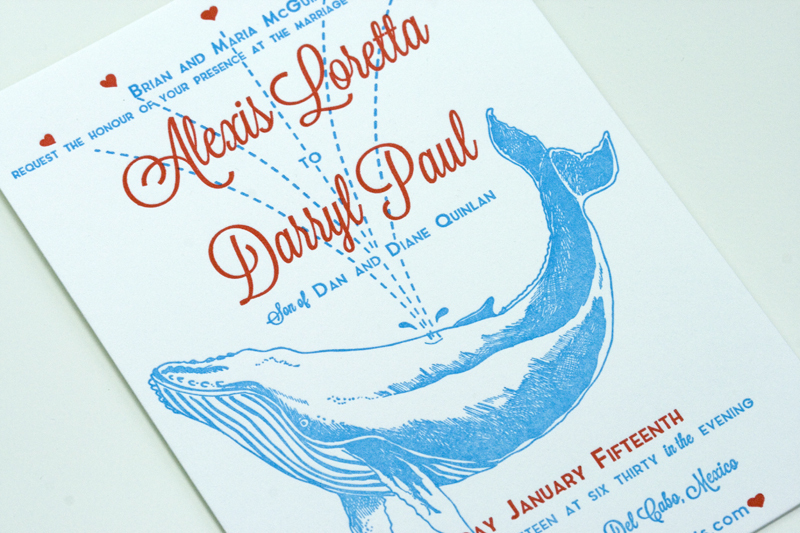 We designed a custom wedding invitation for Darryl and Alexis for their destination wedding in Mexico. 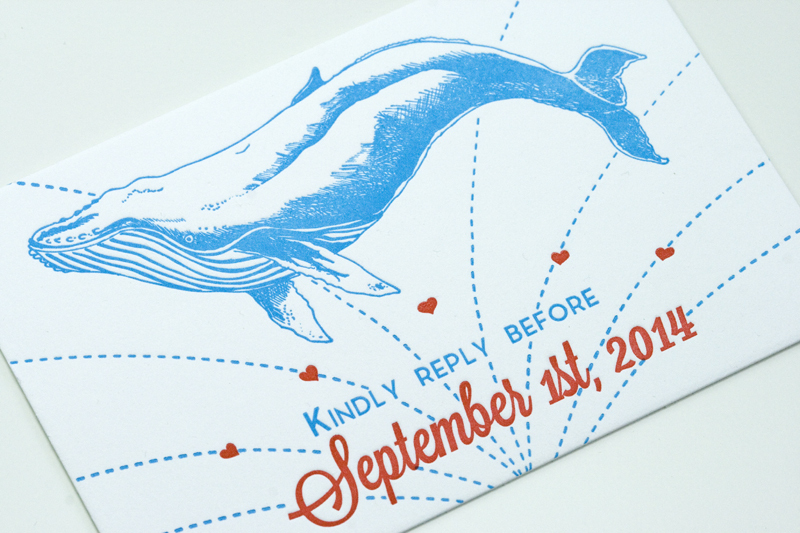 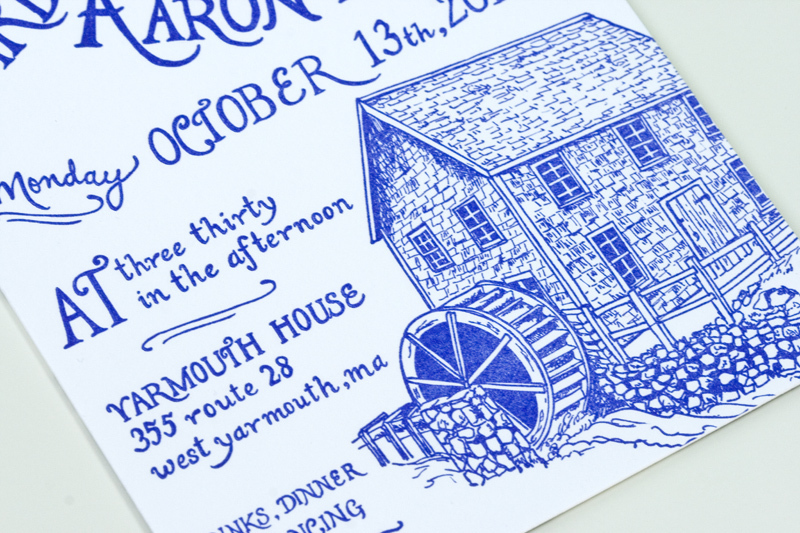 The area where they are having the wedding is known for its whale migration, so they wanted to include an illustration of a whale on the invitation. 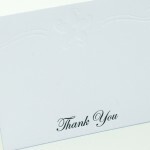 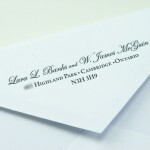 We love clients who let us do our thing and these guys did just that. 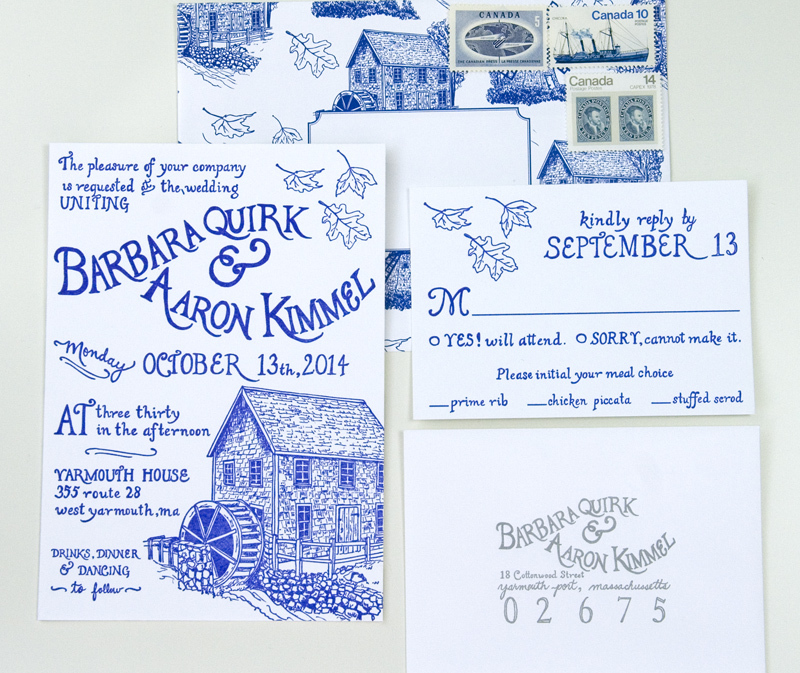 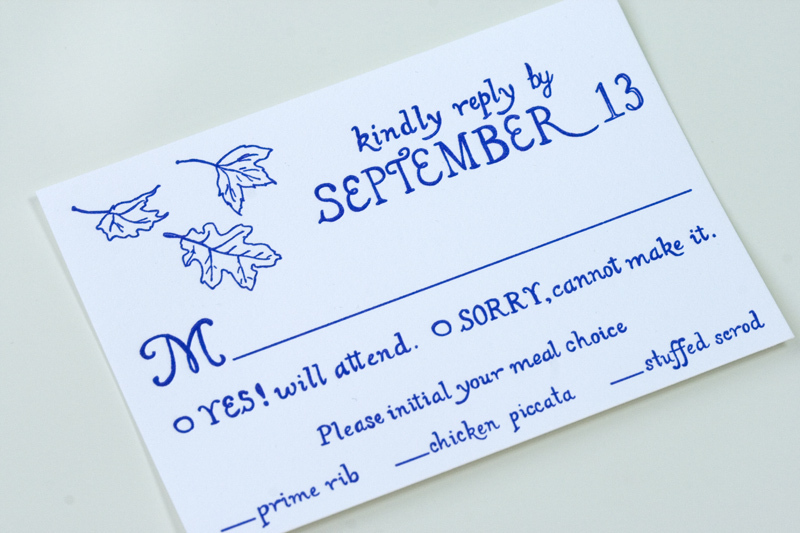 The result is a super fun, original invitation. 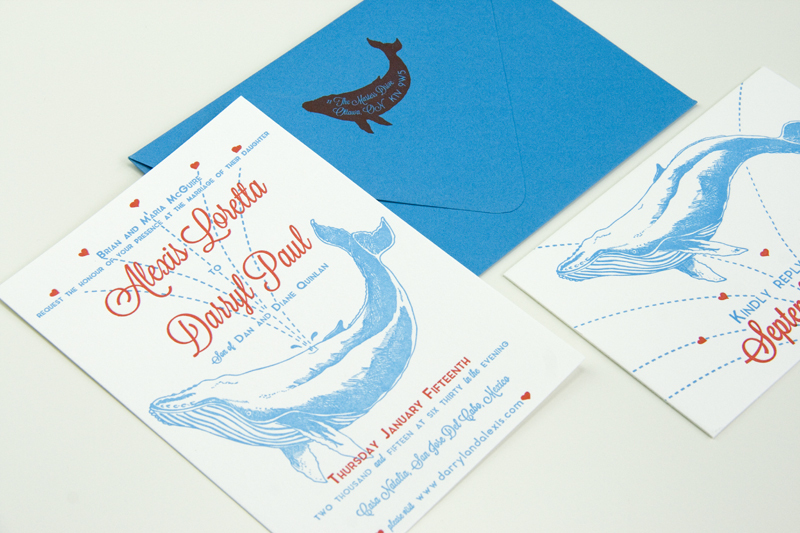 Printed on Crane Lettra, pearl white 300 gsm in Red and Cerulean Blue. 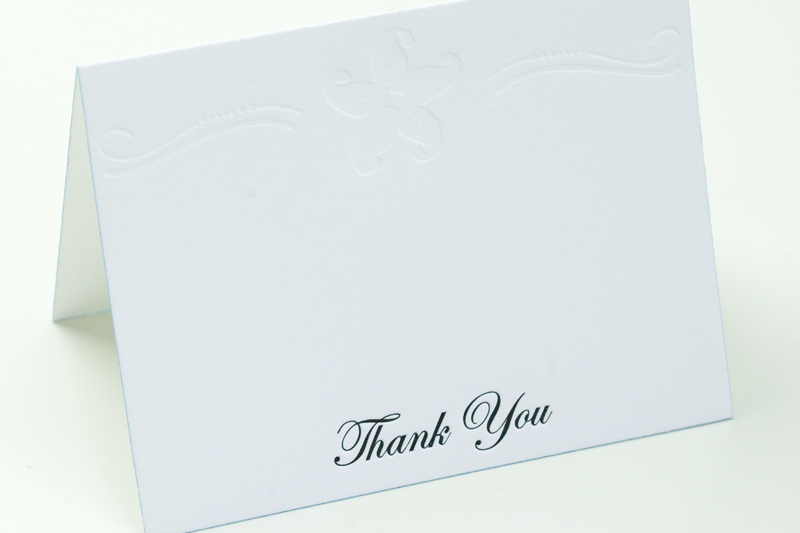 We’re so thrilled to have the chance to be working with more local clients lately. 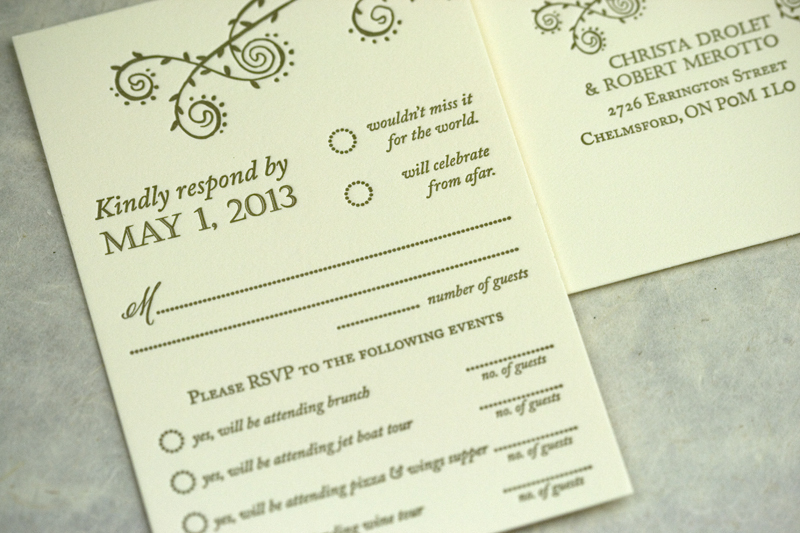 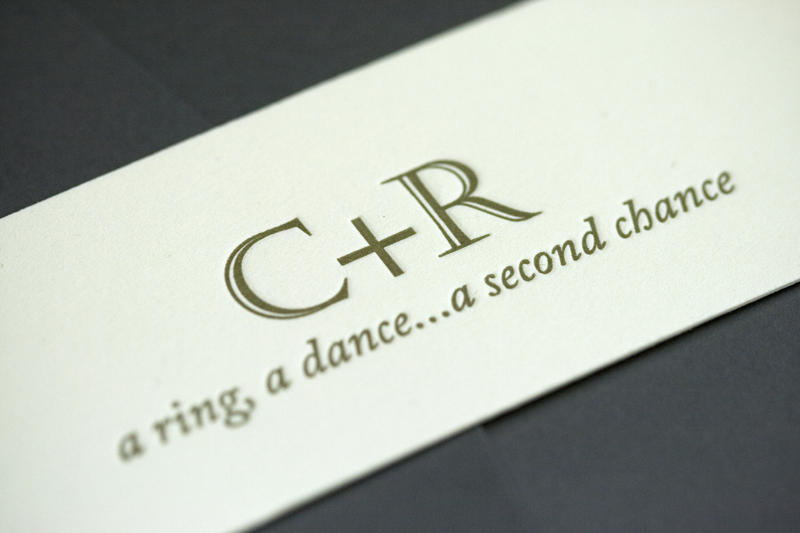 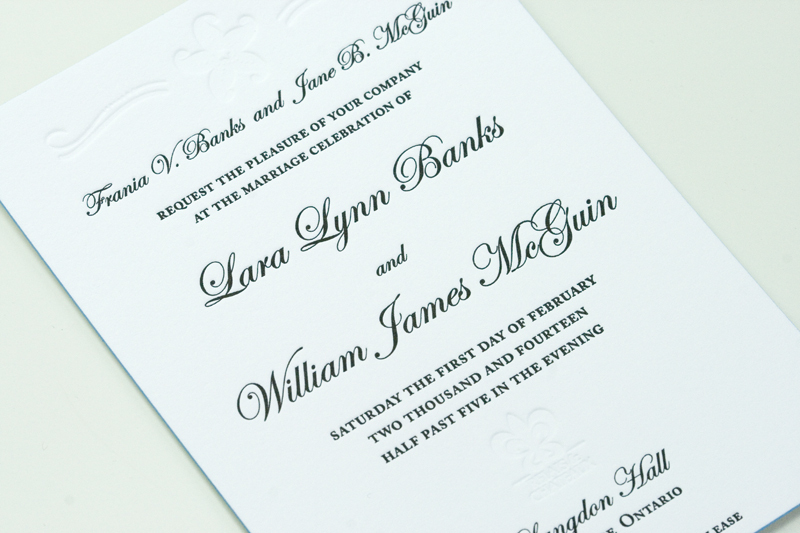 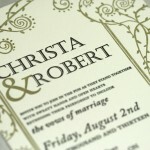 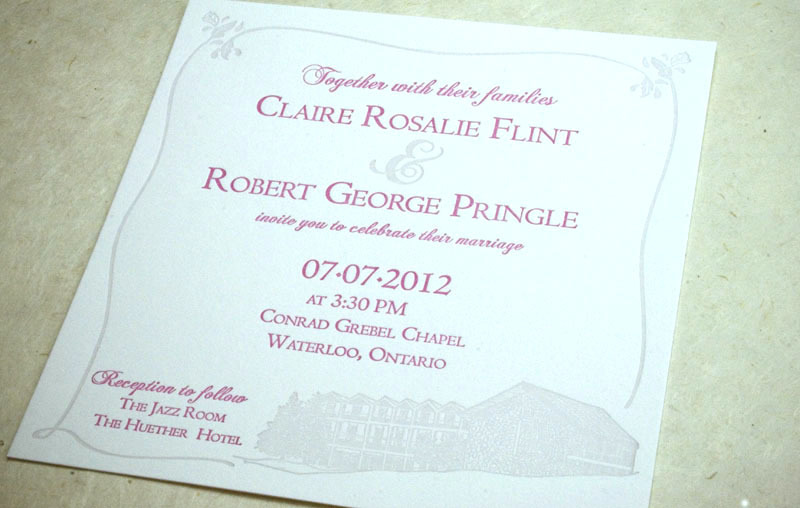 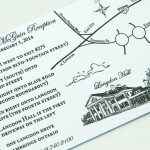 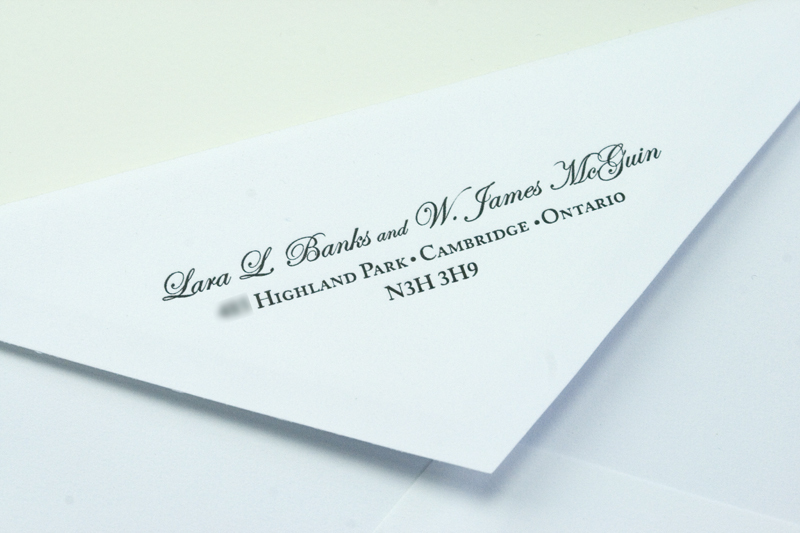 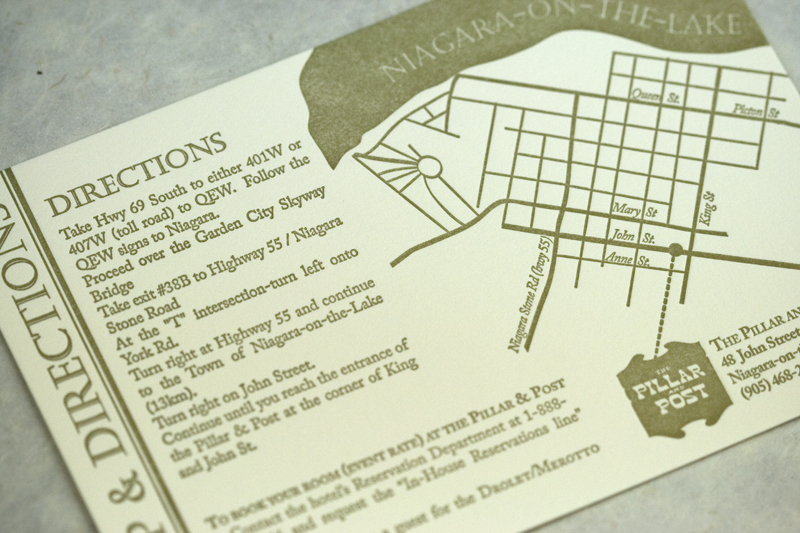 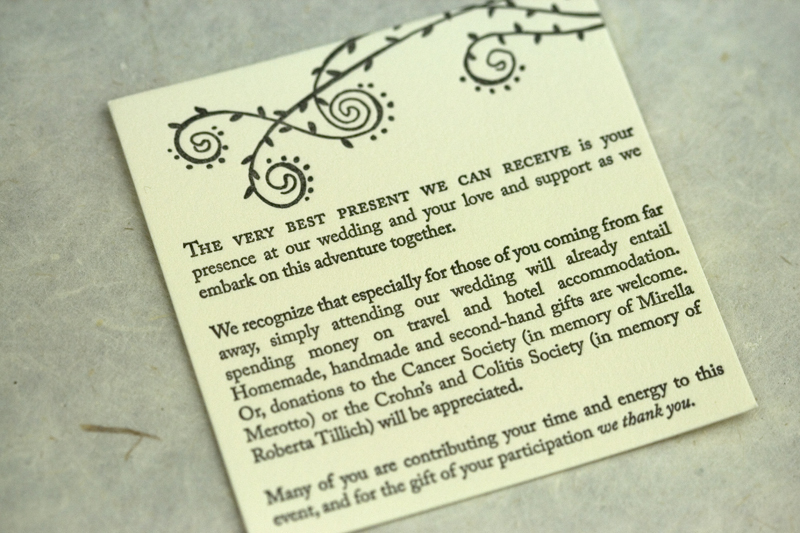 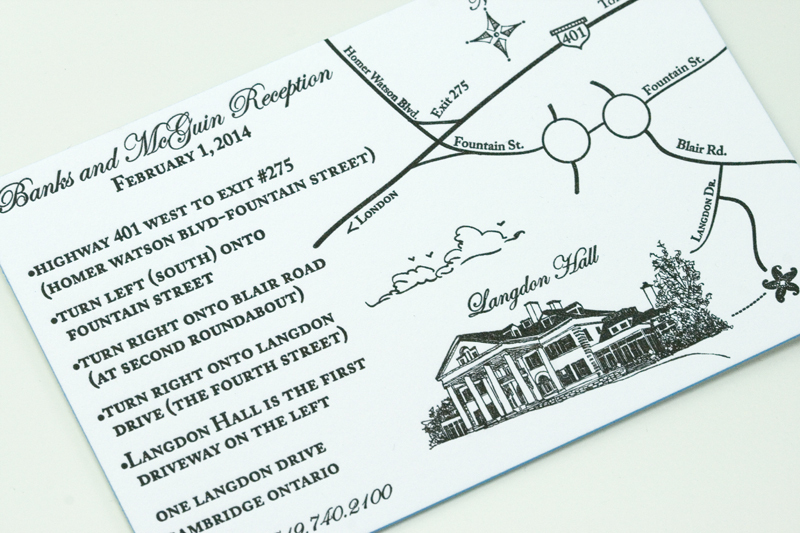 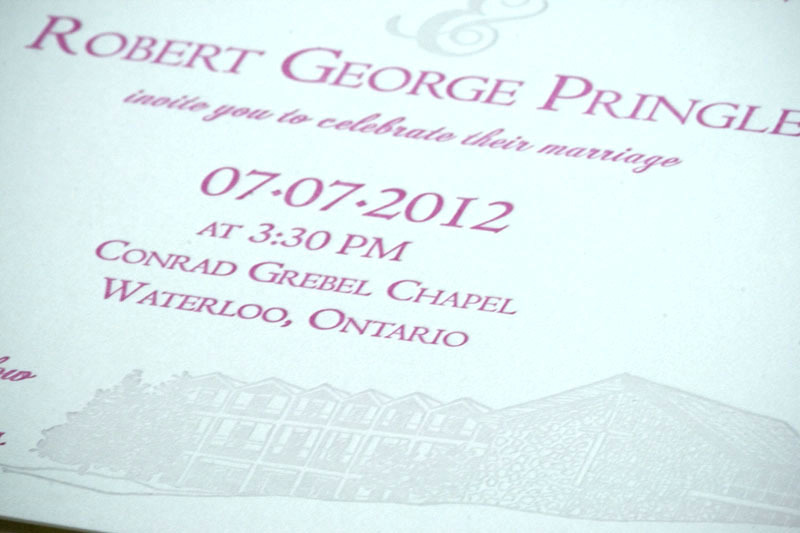 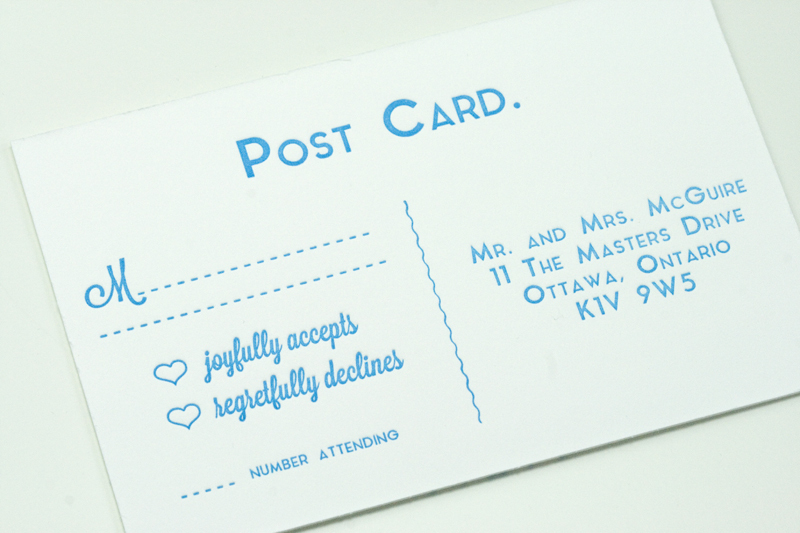 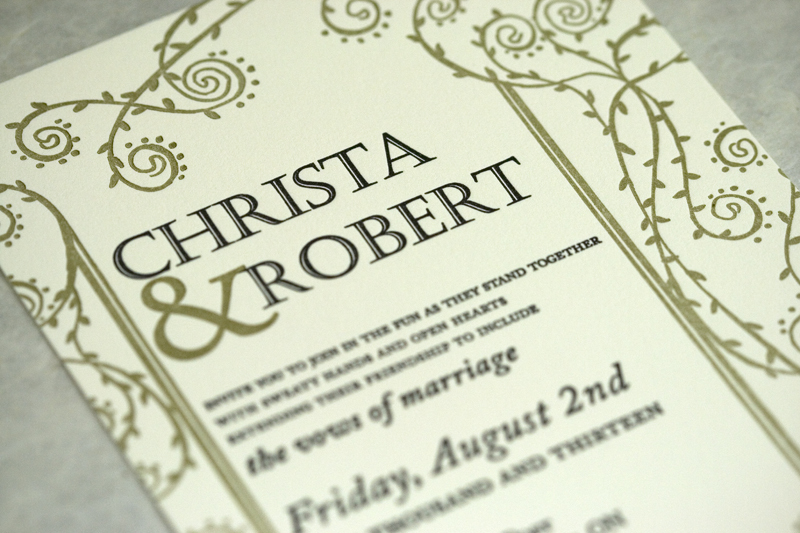 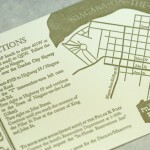 This custom invitation comes courtesy of a lovely couple living in North Bay, Claire and Robert. 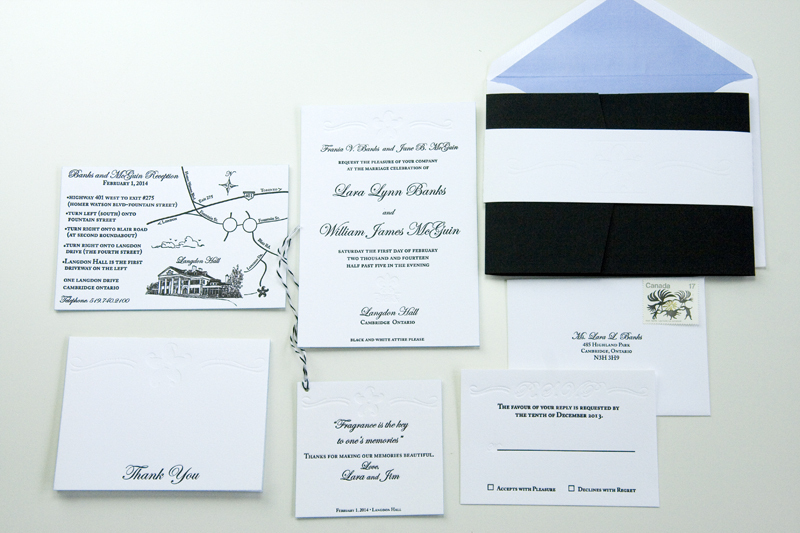 They came to visit us with the idea of having the chapel where they were going to be wed featured on the invitation. 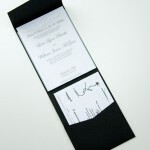 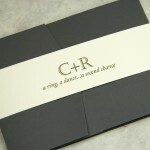 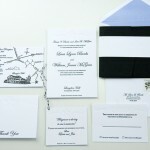 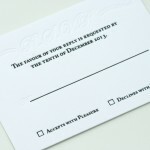 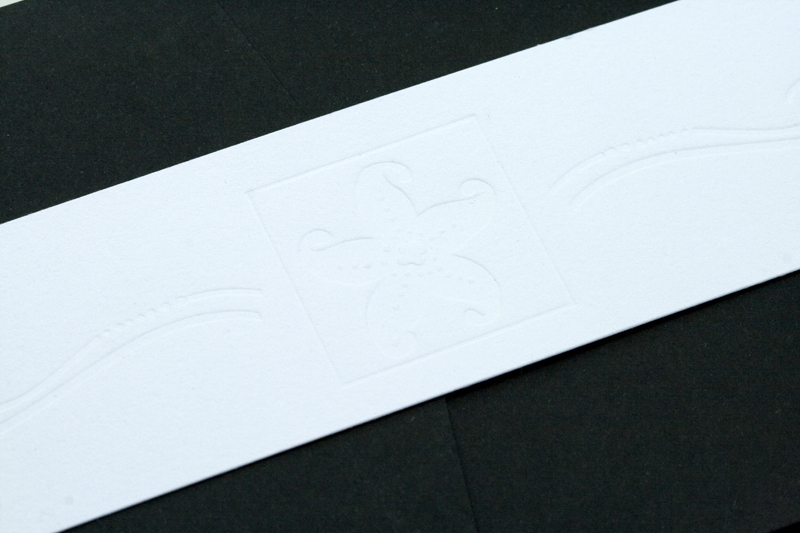 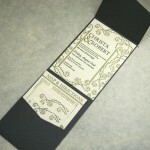 They also loved our Hivernale invitation and so wanted some of the elements of that invitation incorporated into theirs. 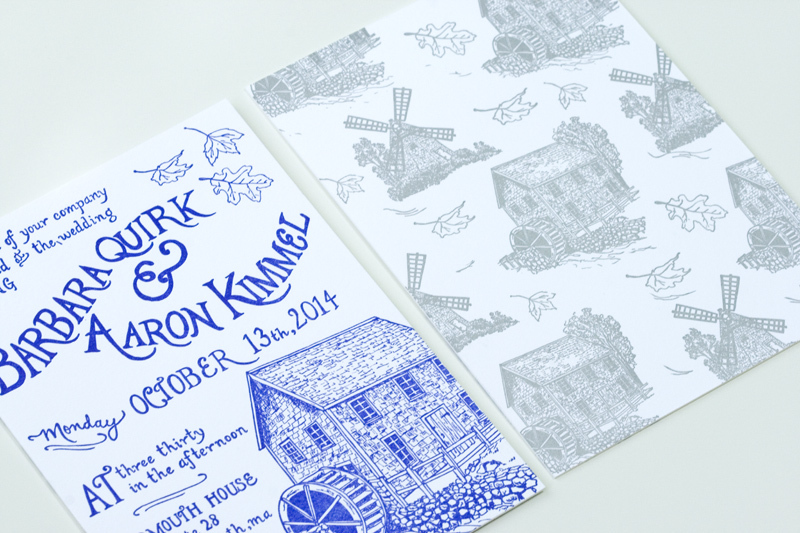 Chantal gave three sketches (below) each of which featured a different aspect of the chapel. 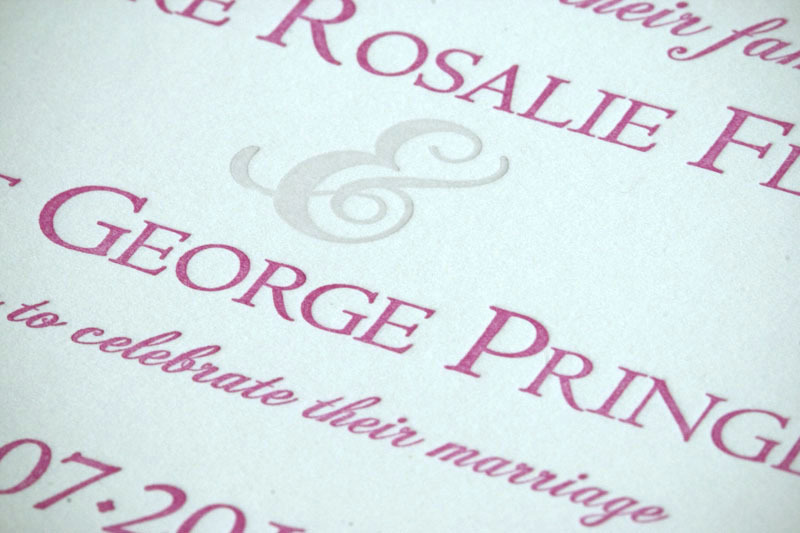 Claire and Robert chose the 3rd sketch, which features an illustration of the chapel and a lovely decorative border, printed in light grey ink with the text in fuschia. 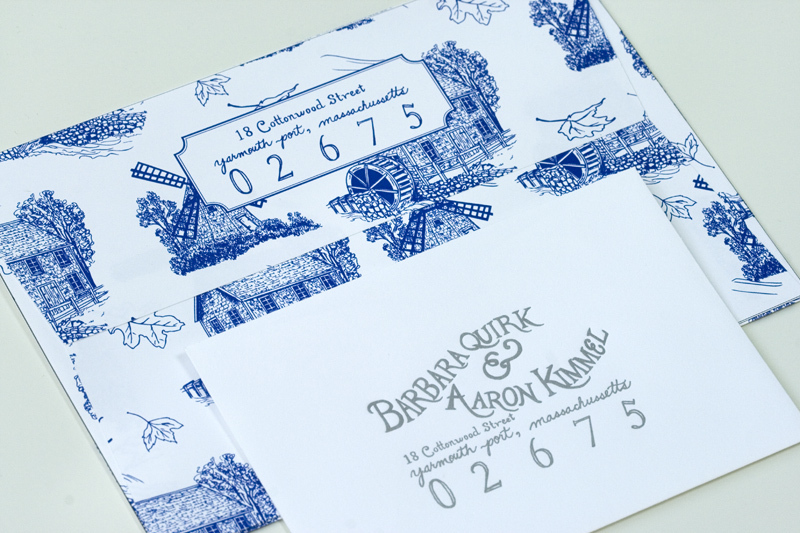 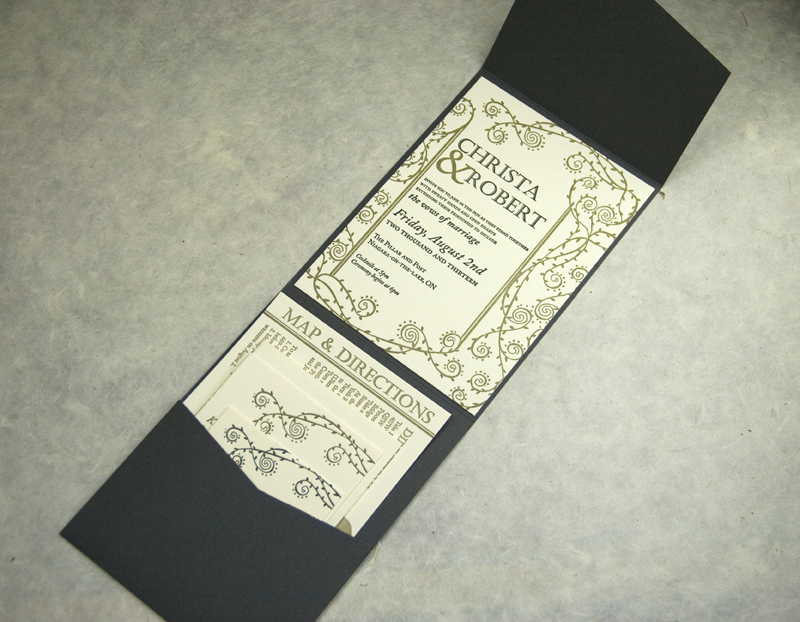 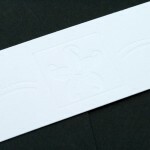 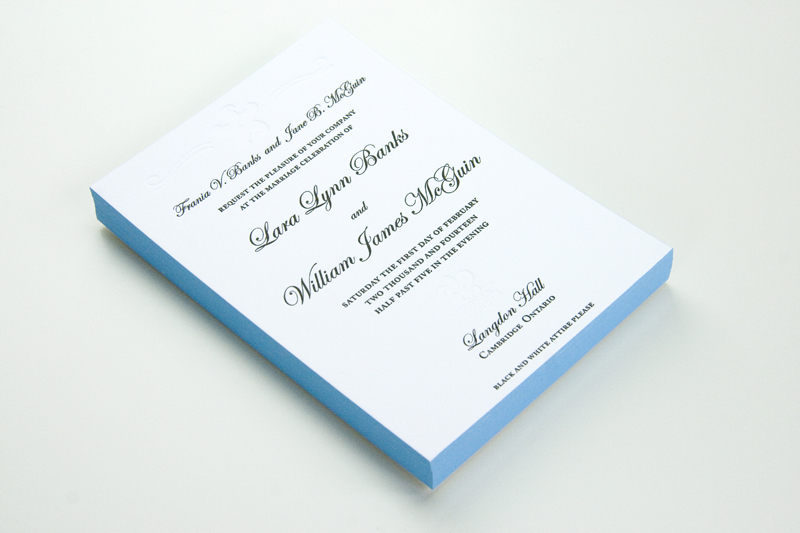 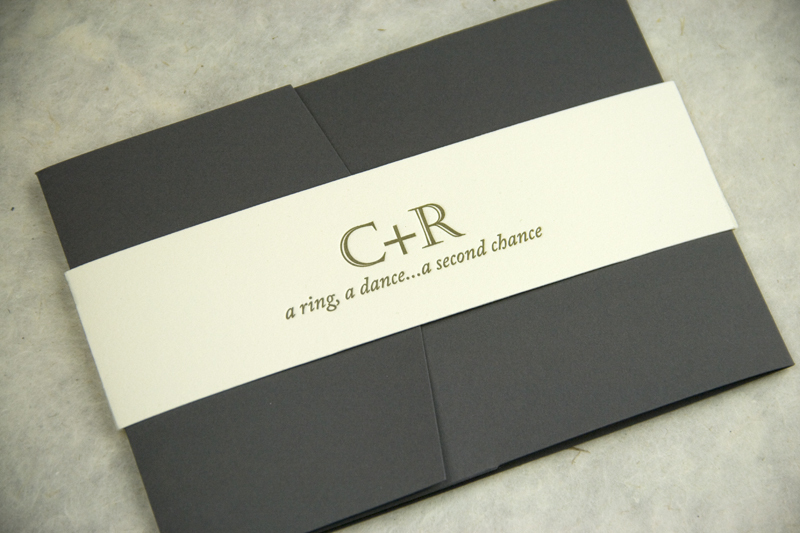 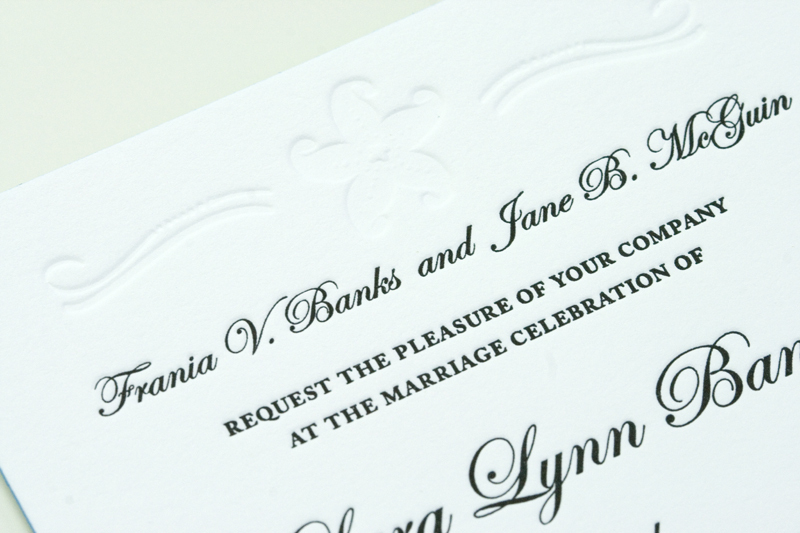 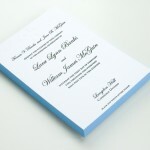 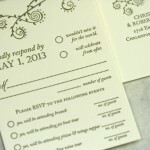 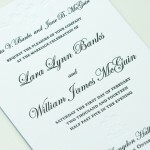 The result is a lovely, soft invitation with matching envelope. 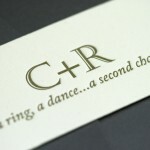 Thanks for being such fanstastic clients, Claire and Rob! 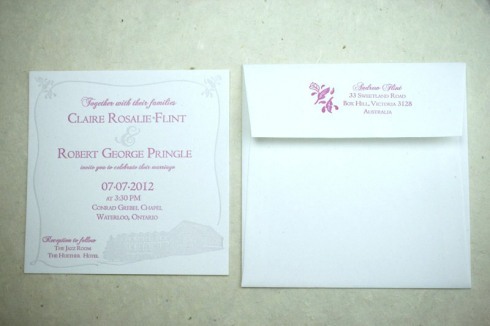 Printed on Crane Lettra, 300 gsm, pearl white in light grey and fuschia. 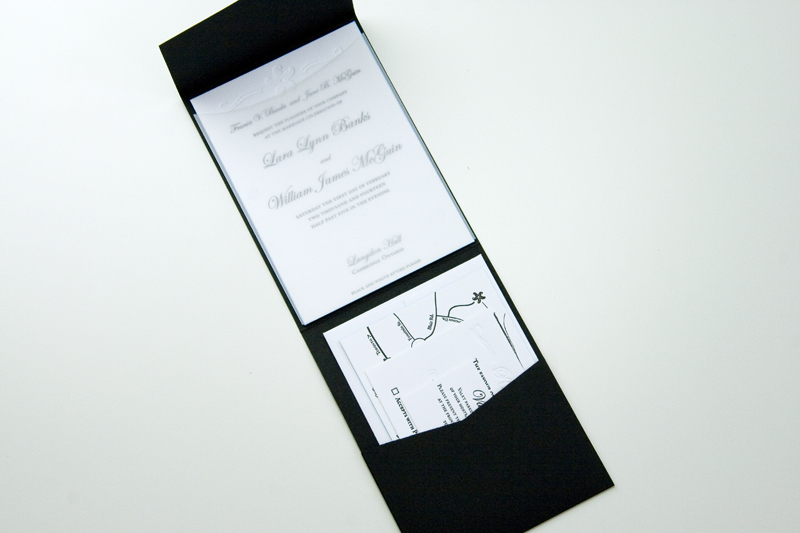 6.5×6.5″.